Daffodils are the first welcome sign of spring with their bright yellow and orange flowers bursting wide open, like little pockets of sunshine wherever they grow. They are easy to plant, easy to care for and come back year after year. They can be planted anytime outside before the ground freezes. Fall is the ideal planting time, however, so they can awaken come spring. When buying daffodil bulbs at a nursery or garden center, be sure to choose bulbs that are big and firm. 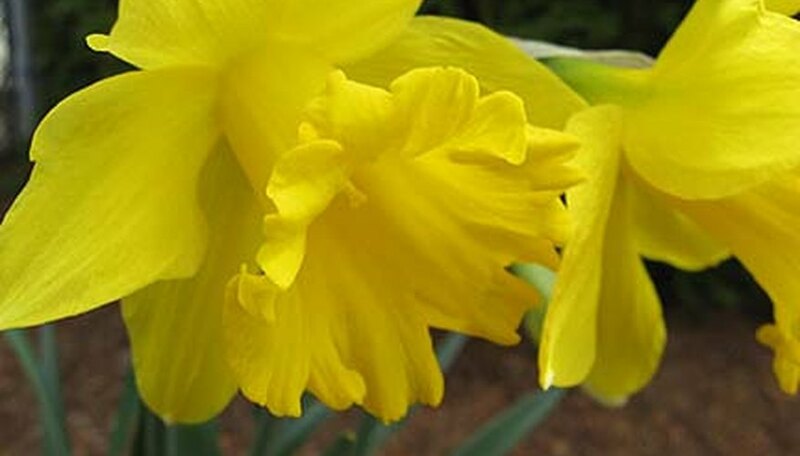 Daffodils (narcissus or jonquil) worship the sun, so find the sunniest area in the yard for your daffodil garden. Lay the bulbs on the ground about 6 inches apart. Try to visualize how your garden will look. Daffodils can be planted in bunches or rows. Dig the holes about 3 times the height of the bulb and place the bulb--round base side down--into the hole. 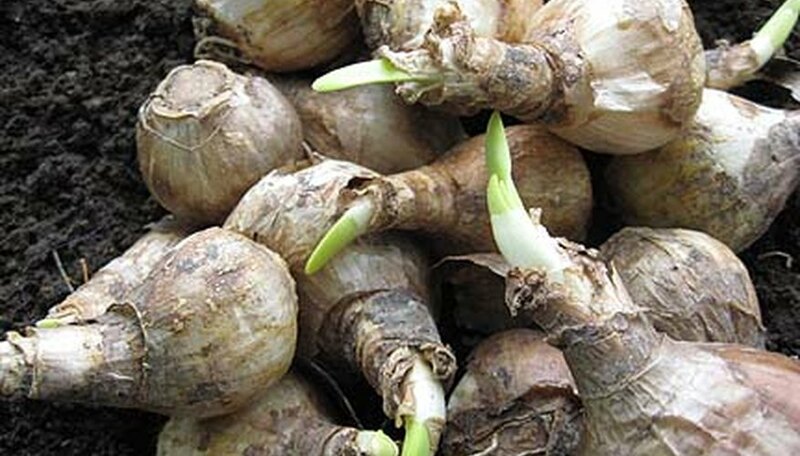 Should you decide to plant the bulbs in a row, it is easier to dig one long trench and set the bulbs inside about 6 inches apart and cover them all at once. They make wonderful border flowers for your garden and look pretty when planted around the base of a tree. Bulbs can also be planted in "bare" spots here and there to fill out the garden. They can even be planted in large flower pots and set on the back patio or front porch. 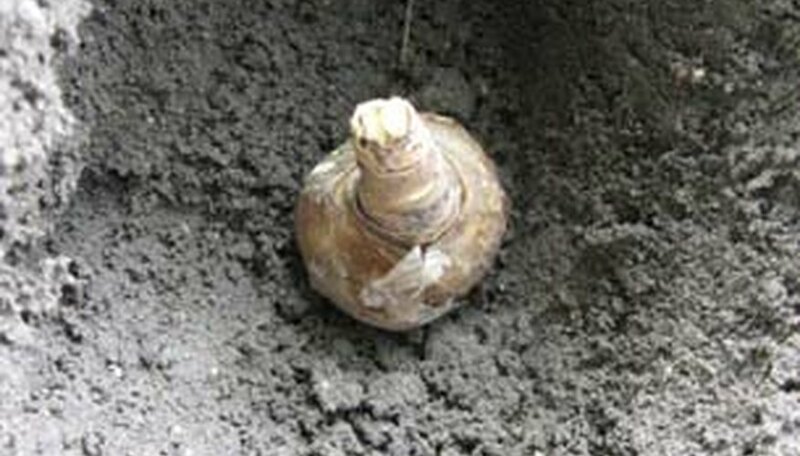 Cover the bulb by firmly pressing the soil around the base. The idea is to firmly and totally encase the bulb in soil and prevent any air pockets from forming that might cause the roots to dry out. Once the bulb is entirely covered, water generously to make sure there will be no air pockets and add mulch on top if desired. The mulch will protect the bulb as it winters over. It will also decompose and feed the soil. When the bulbs bloom in the spring, the color is amazing and the fragrance is delightful. However, the blooms do not last long; the plant will start to take on a rather droopy appearance. The green stems and leaves will fade and fall flat. This is normal and should not be tampered with because the plant needs to die back completely to return next spring. For this reason, gardeners tend to plant daffodils at the rear of the garden so when they die back, it does not take away from the rest of the flowers in the garden. As the daffodils come back every spring, they will naturally spread and new seedlings will sprout and eventually take over the garden. After about 5 years, the bulbs should be dug up and divided to keep the daffodil population under control. Dig them up once the foliage has started to die back, usually early summer. Wash the bulbs and let them thoroughly dry. Keep them in a dark, cool place, until they are ready to plant again in the fall.